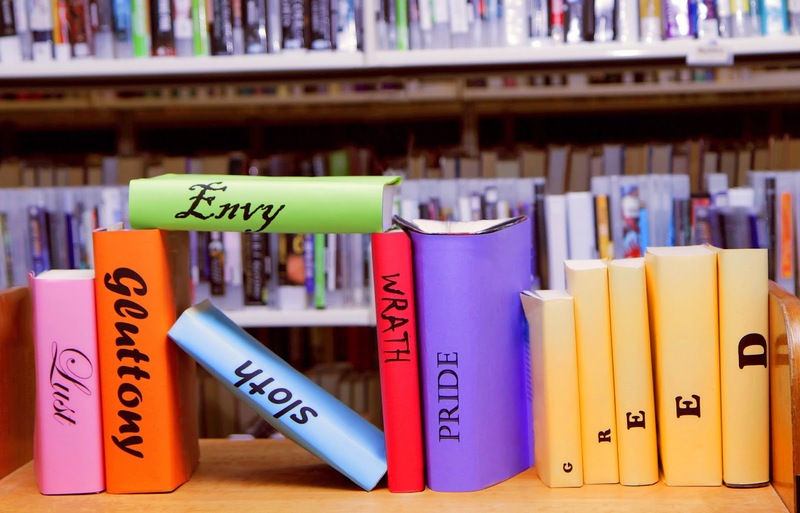 Come along to our Seven Deadly Sins Open Book Groups for lively discussion and friendly debate with people who share a love of books. Tell us about your book suggestions and discover new books to read. Unlike most book groups, there are no set books to read. Instead, each member brings along their book suggestions to share and discuss. Everyone is welcome to attend, bookings are preferred, but not are not essential. Talking about book lust. Who is your literary crush? What book genres, characters and authors get your heart racing? Includes romance novels, of course! Wednesday, 21 May @ 2.00pm. How many books can you read before this book group? Bring along and many suggestions as you can! Which book have you read that you just couldn't put down? Which authors and series do you devour greedily, always waiting impatiently for their next book? What is the biggest, doorstopper book you have read? Indulge in a discussion about big books and book series, along with gluttony themed books of course, and any other books you want to talk about. The more the merrier. Afternoon tea/supper will be served. Which books to you wish you could get your hands on? Which books are you waiting to read? Is there a book you wish you had written? Do you like to read debut novels, discovering new authors before anyone else? Have you read a book to make yourself look good? Or are you proud of having finished a challenging book? What award winners and classic titles have you been reading? Do you have an author you love to hate? Or a love/hate relationship with a writer? Do you read crime fiction, thrillers or true crime? Make the the effort to come along to this book discussion group, nothing to strenuous, just an enjoyable discussion about books! Tell us about books on your to read list, those books you have been meaning to read, but you just haven’t got around to them. Tell us about your lazy summer reads.